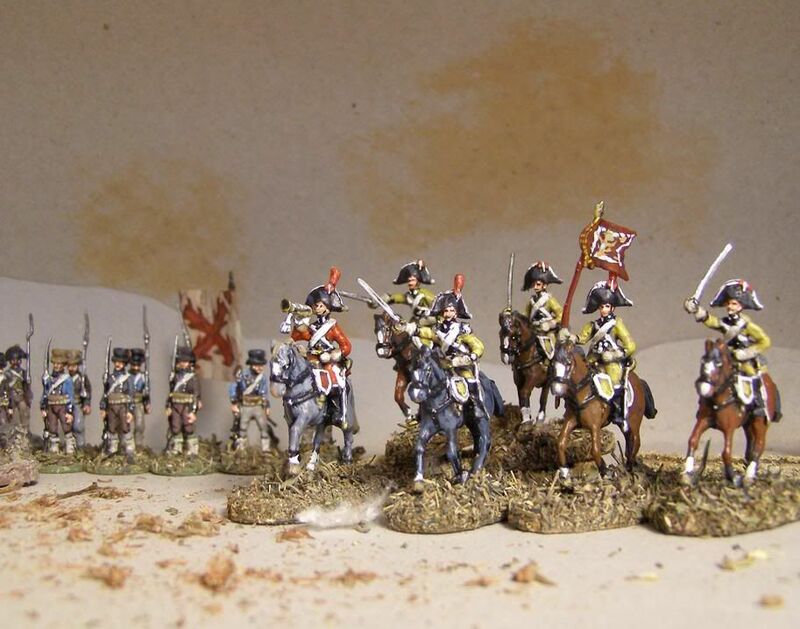 I send you some pictures about Spanish cavarly regiment: "Numancia" Dragoons. 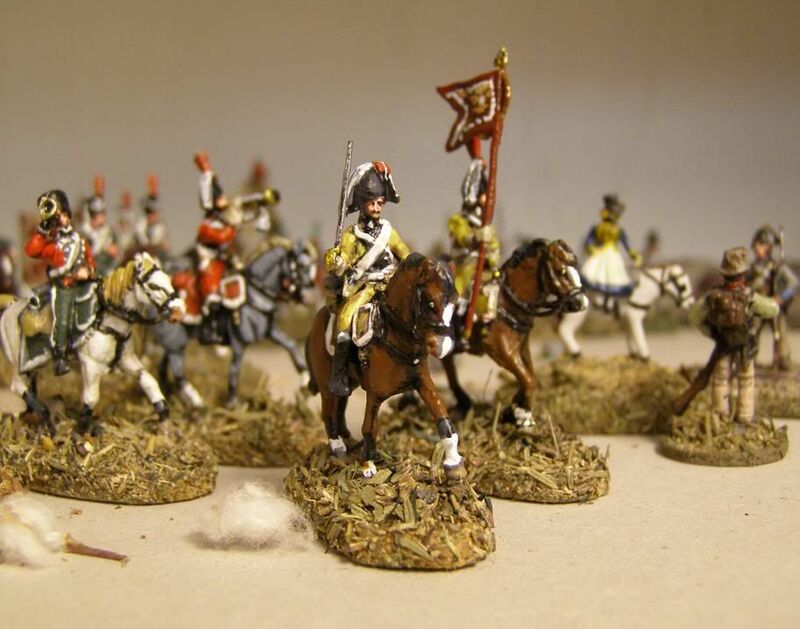 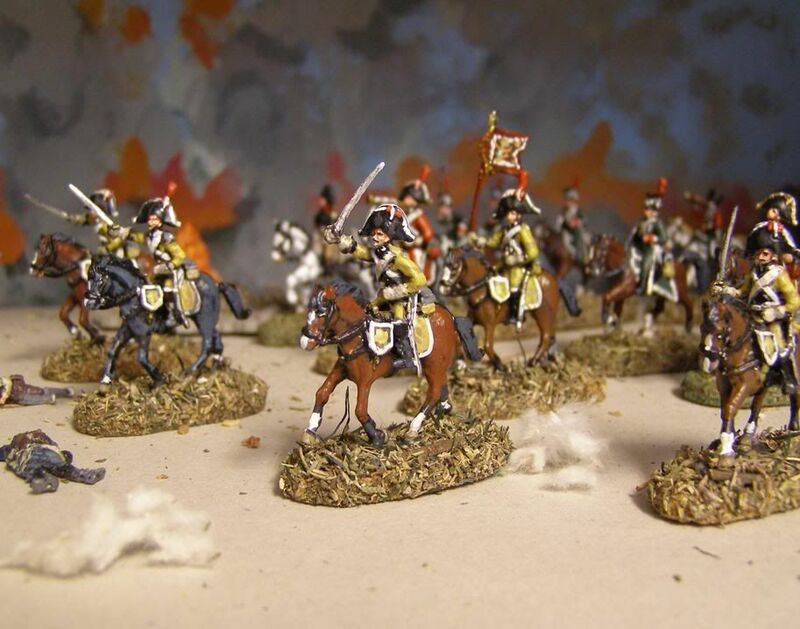 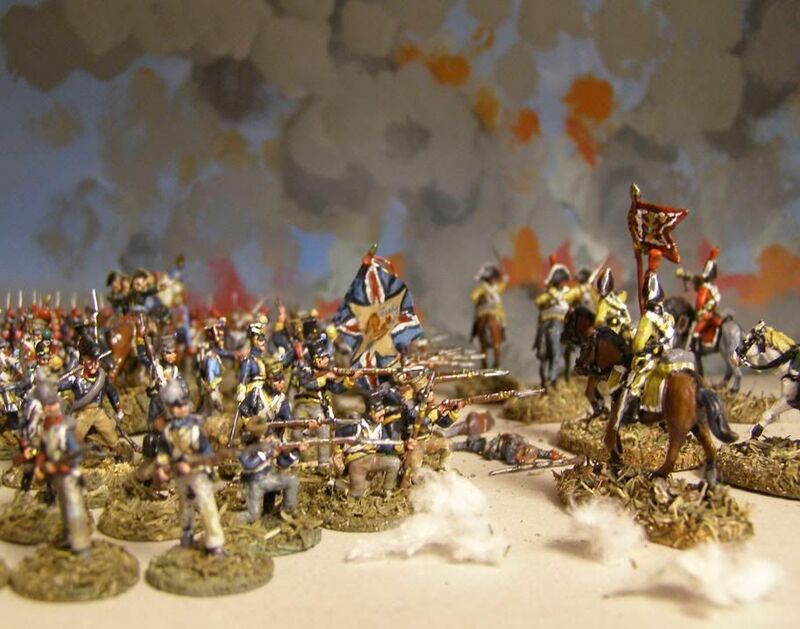 It is simple painting conversion from Hat¨s 1806 Prussian Dragoons. 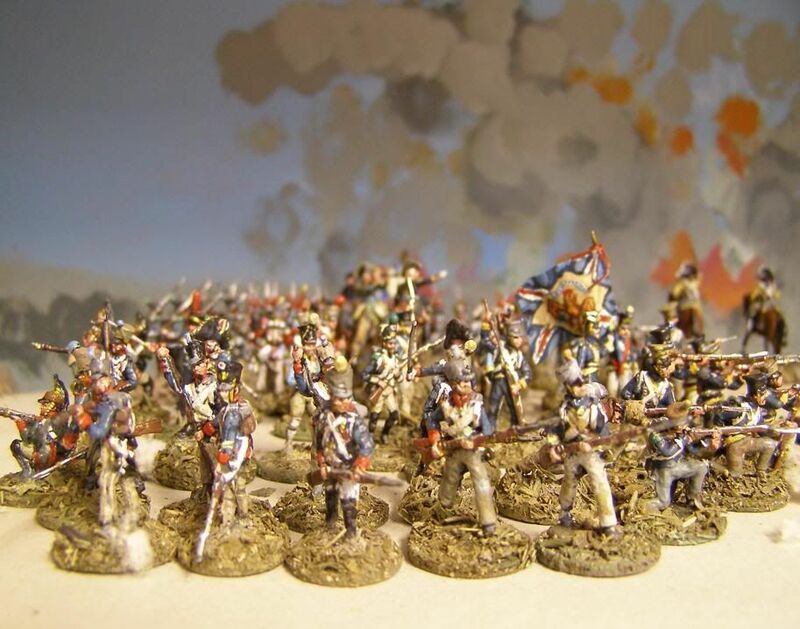 Watch the pictures, the "Numancia", participate in a vigorous charge against a French square... 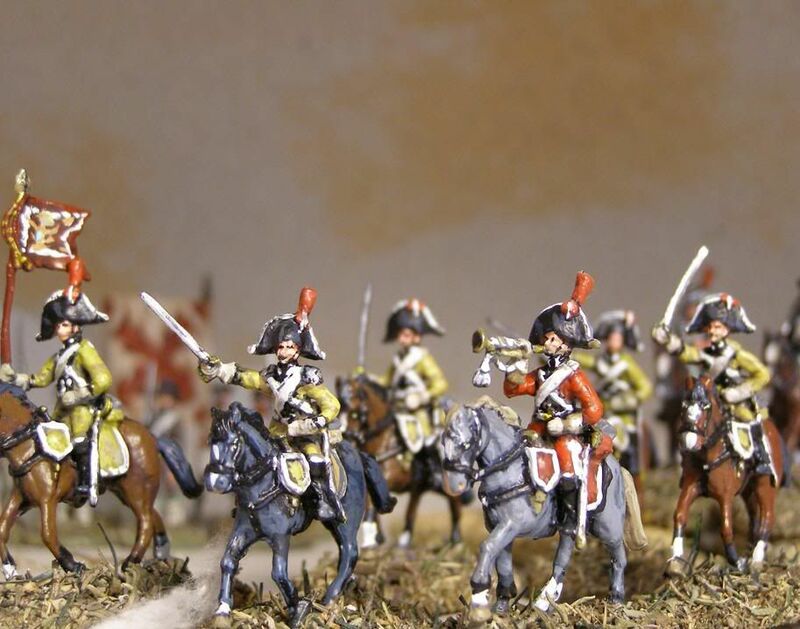 The Polish flag is from The Vistula Legion infantry.